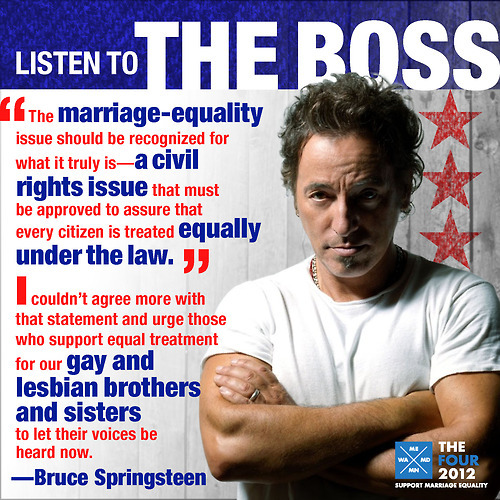 When the question of marriage equality is on the ballot in 4 states this year, It's wonderful to see this legend voice his support. I love the graphic and wanted to share it with you. Feel free to share it with others. While I think that marriage equality should never be put up to a popular vote, we still need to fight for our rights at the ballot box. The religious bigots are bringing the fight and we need to as well!